Now: Begin.Accomplished storytellers Kate Messner and Mark Siegel chronicle the process of becoming a reader: from pulling a book off the shelf and finding someone with whom to share a story, to reading aloud, predicting what will happen, and—finally—coming to The End. 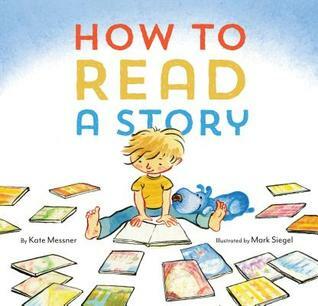 This picture book playfully and movingly illustrates the idea that the reader who discovers the love of reading finds, at the end, the beginning. What I Think: This is hands-down at the top of my list for must-have books for teachers! 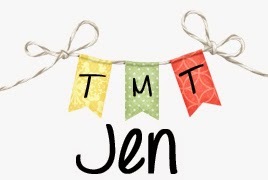 I blogged about it earlier this month during the August PB 10 for 10. It's obvious that Kate Messner is a parent and a former teacher because she completely understands how we should be talking to kids about reading. How To Read a Story is an amazing book to start talking to kids about reading, reading aloud, and sharing books. I read How To Read a Story with Peanut's 2nd grade class last school year and they loved it! We first talked about what good readers do when they read a story and we talked about what we love about being read aloud to. Then we read the book to see what ideas were similar or different from the list we came up with. The kids loved finding things that were similar. My favorite part of the book is when it talks about reading in different voices. It wasn't until I had kids of my own and we went to a few different story times that I realized how possible it is for read alouds to vary in effectiveness based on how much energy, emotion, excitement, and fluency the reader brings to the text. When I read to Peanut and Little Bean we have the most fun with voices. I have so many great things to say about this book...but one thing I want to make sure I mention is that while it's a book about reading and celebrating how we read a story, I've found that it's also a great idea starter or writing prompt as well. When I talk to students about writing, I share how we have to turn our writer's eyes on and look for stories all around us. In How To Read a Story, there is a part where the reader is asked to wonder if the robot will marry the princess and it's a perfect story idea. After I read it to Peanut's class, they all were asking me if the robot married the princess. I was excited to tell them that it's not in the story but they can write that story. How cool is that? When a book leaves you wanting to know more or inspired to write your own stories...that's magic. This is a great example of how to write some fun non-fiction text. Students could think about their own How-To pieces that they might want to write. Have them think about what they are experts in or know a lot about and invite them to outline steps and take or draw pictures. This could be a great opportunity to do some digital writing and include multimedia. OR invite students to write and illustrate their own versions of how they like to read a story that they can share with their parents or caregivers. OR share this at a family reading night or curriculum night and give parents the opportunity to think about how to make reading aloud at home as fun as possible. OR invite parents to brainstorm and share how they read stories at home. There are just so many possibilities!!! One more thing I would like to mention is that I'm a huge fan of Mark Siegel's illustrations and love how he brings this story to life. I believe the choice to do colorful illustrations on the white background really makes a difference and the color palette in general is perfect. (As long as they're not too scary.)" Writing Prompts: Write about what you love most about reading aloud or what you would love someone to do when they read aloud to you. Take one of the characters in How To Read a Story and write your own story about them.